This Gladiator slot machine is not only for those who love casino games but also for those who love Ridley Scott’s Gladiator movie, starring Russell Crowe. It is an exciting and popular game created by one of the best developers of Playtech slot games, and in which it has tried to faithfully reflect scenes from the movie. This slot consists of 25 pay lines and five reels. As the Gladiator game revolves around the plot of the film, with sequences of fights between Roman warriors in the Colosseum, it is logical that the symbols are with images of the characters that you already know as Emperor Marcus Aurelius, Lucilla or the General Máximo, and also others such as the Gladiator’s mask and the Colosseum, axes, gold helmets, shields and swords among others. Gladiator has great graphics and an excellent soundtrack of the same quality as the movie, so if you are a Gladiator fan this game will take you to the fights of ancient Rome. Although surely those who play this slot already know them, we will also mention them for those who have just started or are thinking about starting to play, as well as we will provide reviews of the places they occupy within the Gladiator game, each symbol, and its values. The scatter symbol is represented by the Colosseum and can appear anywhere on the reels, and if a player manages to get more than two scatter symbols will receive an amount between two to a hundred times greater than what the trigger line says. The regular symbols are Emperor Marcus Aurelius, General Maximo, Senator Graco, Lucilla, King, Ace, ten, nine and jack, and finally, this is the joker that is represented by Gladiator’s helmet. Gladiator offers bonus games and not just one, but has two rounds of bonuses, which are the Gladiator Bonus and Bonus Coliseum, and then talk a little about the ways to activate them. As we said before, the most important symbol in the Gladiator slot is the Gladiator mask, which also only appears on the reels numbers 2, 3 and 4. The Gladiator mask is the wild card and replaces all other symbols except the scatter or Coliseum. When you get three wild cards, the Gladiator bonus game will be considered to have started. From there, you should only expect the machine to randomly choose nine symbols of masks from Gladiator, meanwhile just watch as it is filled with money. Each Gladiator’s mask has a different value, and when added will correspond to the amount of money that will be awarded to the player. Appearing three or more symbols of the Colosseum, or scatter bonus will begin to scatter stones and appear in rows, and how to reveal the prizes is choosing a stone for each line. Each row has a different value, so the prizes will depend on the rank and the row of scatters, extra wilds, free games, and multipliers. The prizes are awarded in all the choices you make, and also one of four choices, among which are: grab all the prizes that are in the column you chose or choose another reward from the previous row, or else choose a prize that is in the back row, or in the same way you can access the free games. You must keep in mind that when the free games are activated you cannot fire the Colosseum Bonus again. As always win with free throws Gladiator, the gains made during the game you can decide if you duplicate them or play them, and for that, you must click where it says play, and must decide at random which card will come out, if the black color or red. You can continue to double your money until you reach the amount of 2,500 pounds. You can dispose of if you deposit the winnings and return to play. Within Gladiator you can also find special features like an automatic player, which can be activated at any time, and where the player has the option to decide how many lines to bet and the number of pay lines and more. The Gladiator slot game is controlled by eight buttons that are in a row: First button that is one of the bets by line: it must be pressed to choose how much money is bet by line. The second button that is the Lines: there you can choose the payment according to the number of lines. The third button is the Rotate: this causes the reels to turn when pressed. Fourth button, Bet Max: to choose the payment lines, the value of the turns and the level of the bets. The fifth button, Change with a click: with that button, you can choose your currency and the value, which should be between 0.01 and 5.00. The sixth button, there is the automatic start: for when you need to start or stop the turns that are automatic, these can be chosen just above the start button, is the range from 1 to 99. Seventh button, Information: to obtain details about the table of payments and the explanation of the bonuses. Eighth and last button, Gamble: must be pressed after winning, and thus be able to bet the money and get an opportunity to double. As with any slot machine, there is a minimum and a maximum for placing bets and the value of the coin may also vary from one game to another. In Gladiator a player can place bets between 0.1 to 1000 coins per line, and the value of the coin is between 0.01 and 100. Those who play online know that each game has its pros and cons in terms of the quality of games, functions and many other aspects. Within the Gladiator pros, we could mention that the speed of the game can be adjusted and that it has the automatic player function available, besides that it has attractive graphics and is fully compatible with most mobile devices, and within it’s just that the joker is not a multiplier. 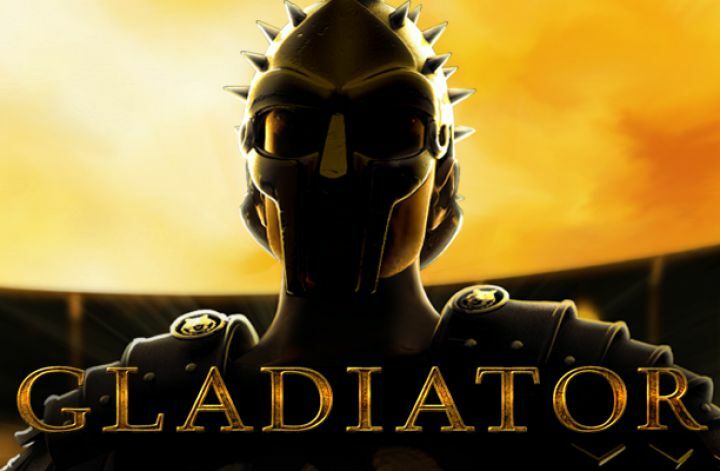 Gladiator has an interface in which you can configure up to 99 free automatic spins, a feature that is very attractive to players, as well as you can select the option of turbo mode so that the dynamism of the game is greater. Gladiator offers a progressive Jackpot, that to be able to win you need to get nine gold helmets. Gladiator can be played for free, and without needing to be downloaded to your PC, and for those who like adrenaline you can also play with real money. For those who loved the Gladiator movie and fully know the plot, they will get a lot of fun in this game. Although surely those who play this slot already know them, we will also mention them for those who have just started or are thinking about starting to play, as well as we will provide reviews of the places they occupy within the Gladiator game, each symbol, and its values. The scatter symbol is represented by the Colosseum and can appear anywhere on the reels, and if a player manages to get more than two scatter symbols will receive an amount between two to a hundred times greater than what the trigger line says. The regular symbols are Emperor Marcus Aurelius, General Maximo, Senator Graco, Lucilla, King, Ace, ten, nine and jack, and finally, this is the joker that is represented by Gladiator’s helmet. Gladiator, meanwhile just watch as it is filled with money. Each Gladiator’s mask has a different value, and when added will correspond to the amount of money that will be awarded to the player. The Gladiator slot game is controlled by eight buttons that are in a row: First button that is one of the bets by line: it must be pressed to choose how much money is bet by line. The second button that is the Lines: there you can choose the payment according to the number of lines. The third button is the Rotate: this causes the reels to turn when pressed. Fourth button, Bet Max: to choose the payment lines, the value of the turns and the level of the bets. The fifth button, Change with a click: with that button, you can choose your currency and the value, which should be between 0.01 and 5.00.The sixth button, there is the automatic start: for when you need to start or stop the turns that are automatic, these can be chosen just above the start button, is the range from 1 to 99. Seventh button, Information: to obtain details about the table of payments and the explanation of the bonuses. Eighth and last button, Gamble: must be pressed after winning, and thus be able to bet the money and get an opportunity to double. As with any slot machine, there is a minimum and a maximum for placing bets and the value of the coin may also vary from one game to another. In Gladiator a player can place bets between 0.1 to 1000 coins per line, and the value of the coin is between 0.01 and 100. Those who play online know that each game has its pros and cons in terms of the quality of games, functions and many other aspects. Within the Gladiator pros, we could mention that the speed of the game can be adjusted and that it has the automatic player function available, besides that it has attractive graphics and is fully compatible with most mobile devices, and within it’s just that the joker is not a multiplier. Gladiator provides instant victories, which are why every day its popularity grows more. And although we have given you a more detailed induction than we could, we assure you that it is not until you start playing this exciting game that you will realize all its excellent features, and how much you can have fun and win in this Roman arena, Share with General Maximo and other great characters in his epic battles.